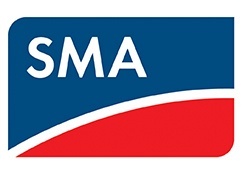 SMA was founded in 1981 and currently employs over 3,000 people across 20 countries. SMA’s sales in 2016 totaled to about 1 billion euros. SMA has a variety of commitments when it comes to culture, community, education and the environment. As part of this work, they actively contribute to building a sustainable power supply using renewable energies in third world countries. SMA offers string inverters for both residential and commercial sized projects, as well as central inverters and battery inverters. SMA also offers optional module-level DC optimizers. They are the only company that has been in existence for a longer period of time than their current warranties last. In a PV solar system that uses string inverters, multiple PV solar modules are connected in series, and then this “string” of modules is connected into the string inverter. String inverters, which are larger and are not usually installed on rooftops or underneath modules (which generate a small amount of heat while producing electricity), can typically operate more efficiently than microinverters since they will often be operating at lower temperatures. Also, since there are fewer components required, a string inverter system may be less costly to the customer, but this ultimately depends on the price the installing or sourcing company will charge and is not guaranteed. DC optimizers are small components that are attached directly to each individual PV solar module, and can help increase the performance of a PV solar system compared to a system that utilizes a string inverter without these optimizers. They do this by regulating the DC power that the individual modules produce in order to mitigate the effects of shaded conditions and module mismatch, while keeping the inverter in a more protected environment than under the modules. SMA offers string and central inverters of all sizes, both for single-phase and three-phase applications through their Sunny Boy, Sunny TriPower, and Sunny Central model families. They also produce a line of battery inverters, named Sunny Island. SMA’s inverter products are able to acheive a CEC weighted efficiency of 98%, and their Sunny Island product can reach a 94.5% CEC weighted efficiency. SMA’s DC optimizer technology also provide built-in functionality that inherently allows any system they are installed on to be compliant with the rapid shutdown requirements in the 2017 NEC. Some of SMA’s optimizers are also able to meet the new UL1741 SA standard which relates to a distributed system’s compatibility with the grid. SMA has more than 20 years of experience in designing storage-based systems, and has partnerships with leading home energy management and battery providers including Mercedes Benz, Tesla Energy, and LG Chem. As budget allows and more solutions become available, a homeowner can leverage SMA technology for a truly integrated smart home of the future. Homeowners can enjoy total security with free, module-level monitoring via Sunny Portal – the world’s largest PV monitoring platform, which is easy to use and mobile-friendly. Even small discrepancies in power production can be seen and quickly rectified. SMA is a global leader in PV solar inverter technology, but is a SMA branded product right for you?